A HOON has been caught ripping up parts of a playing field in Redbank Plains by doing a series of donuts in his car. 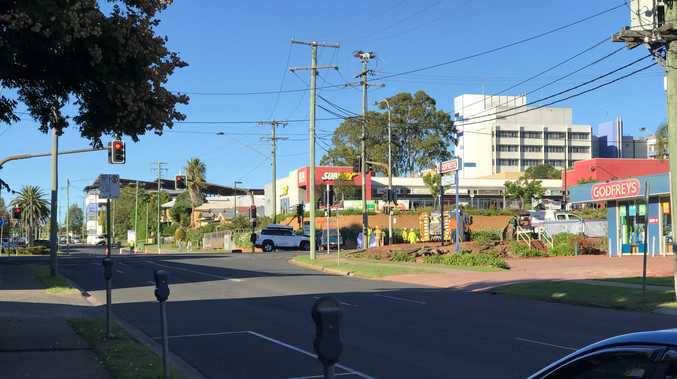 The driver, Michael Leigh Argus-Cullen, faced Ipswich Magistrates Court this week to plead guilty to driving without due care and attention. The 18-year-old was seen by witnesses doing donuts and skids on grass verges and public fields at 1am in the morning on April 6. Police prosecutor Constable Toni Hay said Argus-Cullen had been performing the stunt manoeuvres in his four-wheel drive with a group of mates. Police were called to the location on School Rd and found the teen in his vehicle towing another car that had become stuck in the mud. Argus-Cullen told officers he had not been involved in the hooning behaviour and had just arrived to help tow his friend's vehicle. However, after speaking with witnesses, it was found out the teen had been lying to police. When police ordered Argus-Cullen to hand over his keys to impound his vehicle, he refused and locked the car and walked away. He was charged with an additional offence of obstructing police. Defence lawyer Alexis Oxley said Argus-Cullen worked as a landscaper and required his vehicle for work. Ms Oxley said her client had been diagnosed with attention deficit hyperactivity disorder and had no previous criminal history. Magistrate Virginia Sturgess told Argus-Cullen tearing up playing fields with his driving was "unacceptable" behaviour. "I note you are employed as a landscaper - perhaps you could use your skills to repair some of the damage you caused," she suggested. Argus-Cullen was fined $500 in court. No convictions were recorded.